We run monthly live webcasts with practical, actionable tips and insights for the enterprise marketer. According to IDC, omni-channel customers have a 30% higher lifetime value than those who shop using only one channel. This means that as a marketer you should fulfill these needs. The question is how? 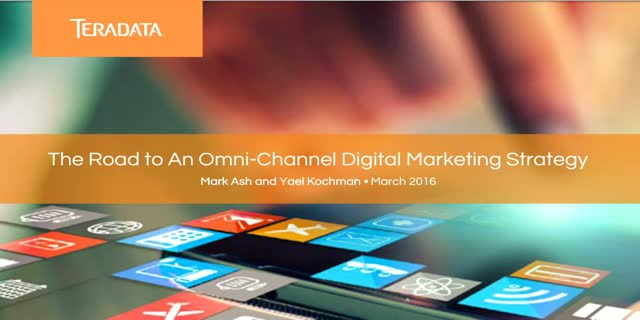 1.What is an omni-channel digital marketing strategy? 2.What are the challenges that this strategy is helping marketers solve? 3.The 4 steps you need to take in order to implement an omni-channel digital marketing strategy in your organisation. Keys to Creating an Individualized, Data-Driven B2C Marketing Strategy. This video will show you keys to Creating an Individualized, Data-Driven B2C Marketing Strategy. Tapping into people’s growing awareness of apps, many brands and retailers are using mobile apps to boost sales by offering convenient 24/7 shopping, while also keeping their brands prominently in front of customers. But are they really getting the most out of their apps? Mobile marketing is about more than just the channel delivery. It’s about the value of the interaction with your customers and using those data points to power future strategy and communication with each individual customer. When it comes to shopping, many retailers already understand the power of mobile and are invested in mobile apps – but are marketers fully leveraging the range of capabilities for mobile apps when it comes to interaction and individualization? Watch Itay Levy’s session where he reveals our study into the engagement strategies of the top 60 gaming apps (30 in each store). For this study, the top 60 gaming apps were identified and downloaded on both iPhone and Android devices. Push notifications were enabled and engaged user activity was assessed over a four week period. We looked at product functions and how users were engaged across multiple channels: push notifications, e-mail and social. Itay does not only present the key findings from the study, but he also explains the reason behind each of the items we looked at and gives great tips and best practices.